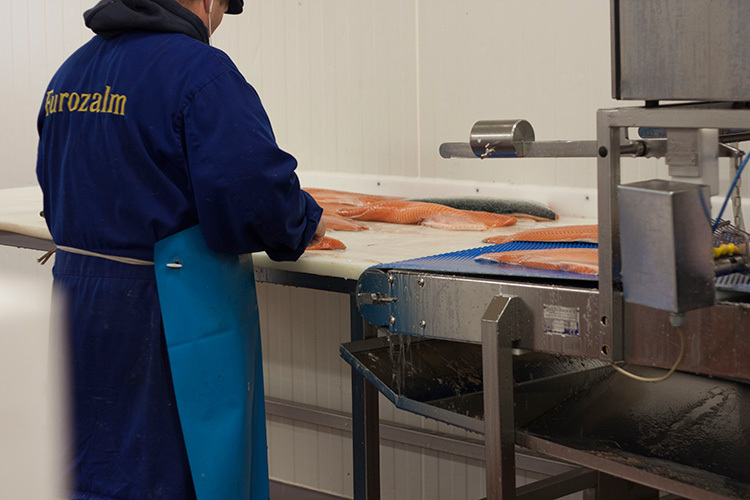 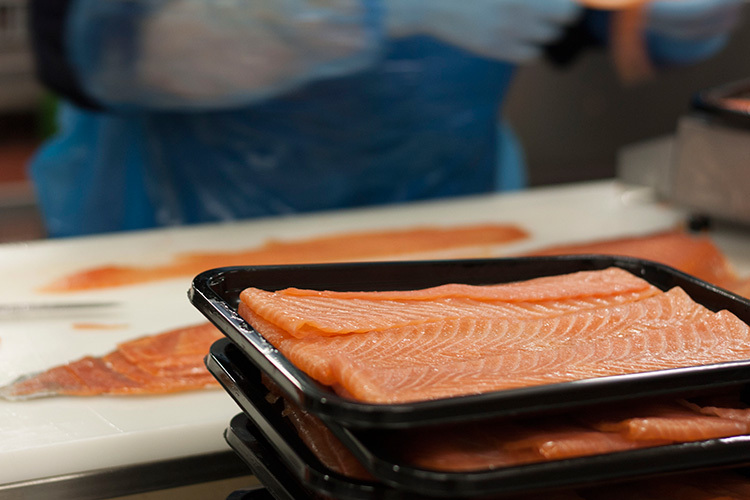 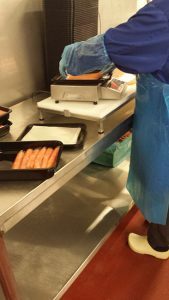 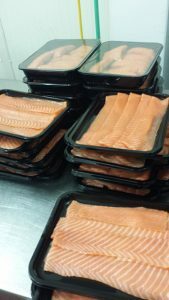 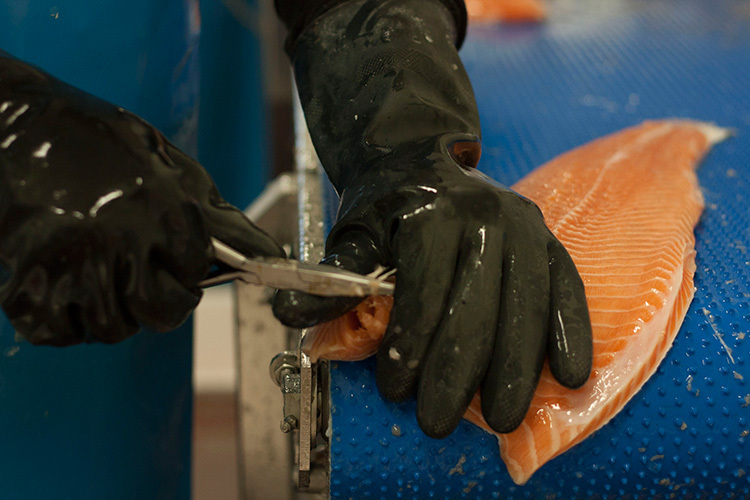 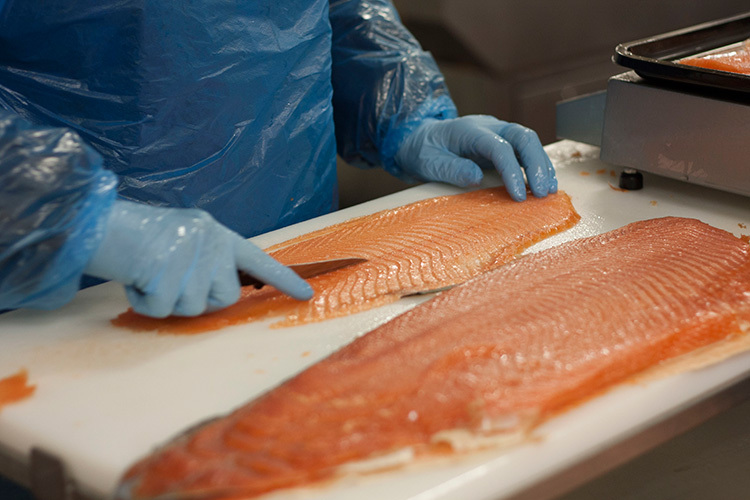 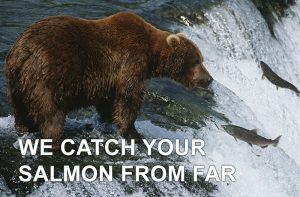 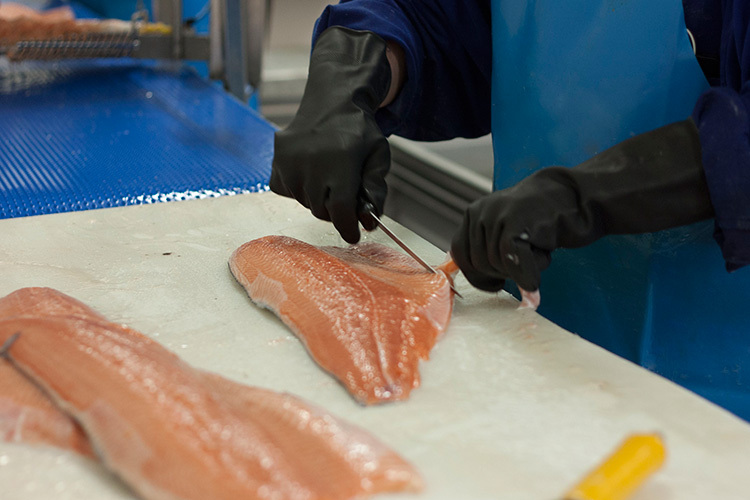 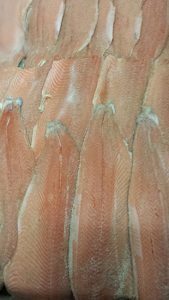 We fillet the fresh salmon, which is delivered daily, by hand. 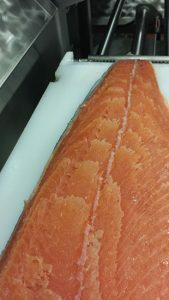 After this we salt the salmon in a mixture of salt, basterd sugar and at times also herbs. 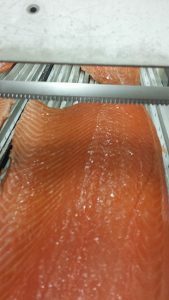 The gradual riping of this mixture takes 12 to 13 hours in a cooled environment. 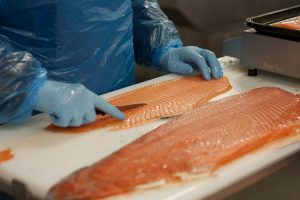 After riping the salt is washed off thoroughly to make sure there is no leftover salt or sugar on the salmon. 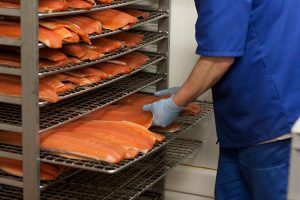 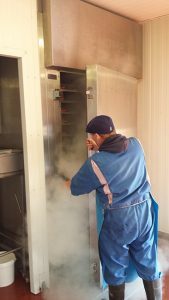 The washed salmon is then placed on racks in the smoking oven where the curing slowly takes place at a temperature of 25 degrees celsius over a period of 12 to 14 hours. 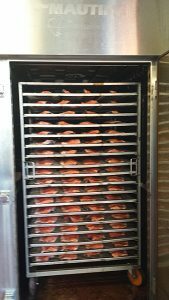 After the smoking process the salmon needs to cool off and ‘rest’, this makes sure the flavors settle throughout the meat. 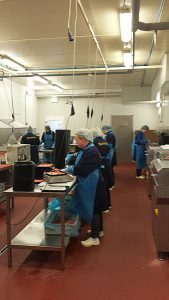 After this the salmon is transported to the processing area to be sliced by hand into portions that the customers prefer.